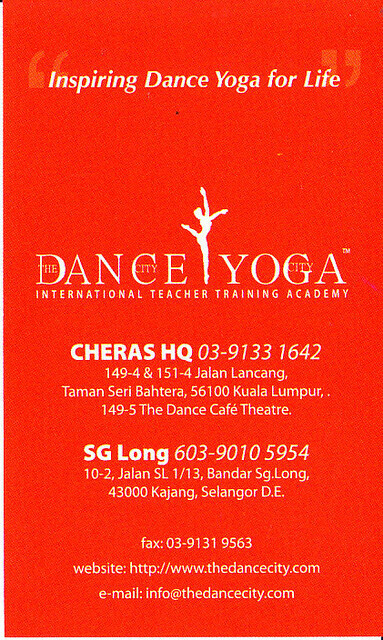 DANCE YOGA provides the most comprehensive dance and fitness teacher training program as well as dance and fitness lessons in Malaysia. At DANCE YOGA our mission is to inspire, care for and educate our students. We strive to provide quality education in the dance and fitness fields. We trust that a career as a dance or fitness teacher, whether in school or communities is a chance to play a role in shaping our lives as well as others in the society. DANCE YOGA programs are developed with the recognition of Royal Academy of Dance (UK), Yoga Alliance (USA), Tarlac University, Open University Hong Kong, Canadian Dance & Yoga Academy, and other dance and fitness centre located in 47 countries in the world. DANCE YOGA Academy:Inspiring Dance Yoga for Life! !